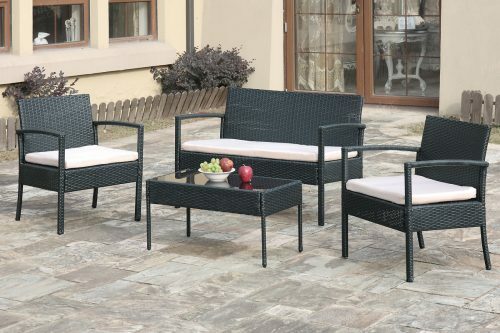 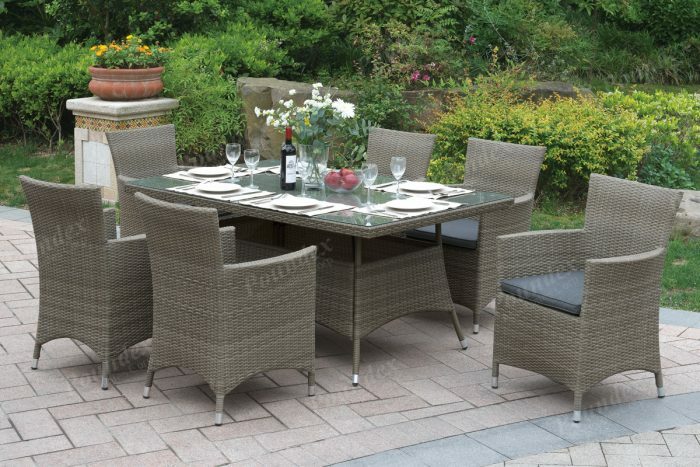 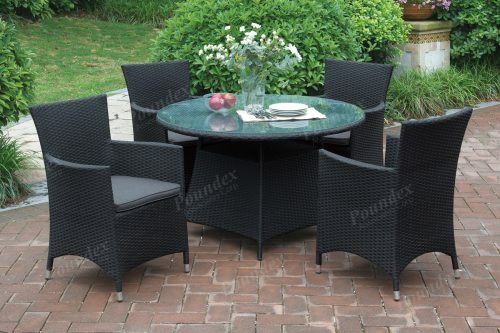 Dine and lounge with friends and family with this 7-piece patio table set. 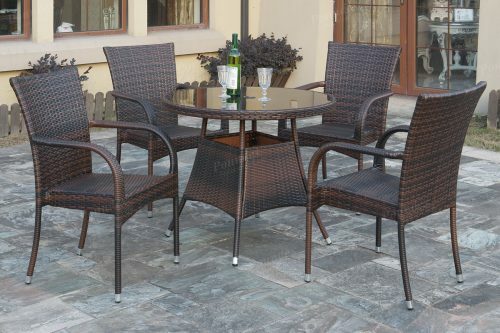 Its bold and wide aluminum frame features the vibrant texture of resin wicker in a dark brown or tan hue. 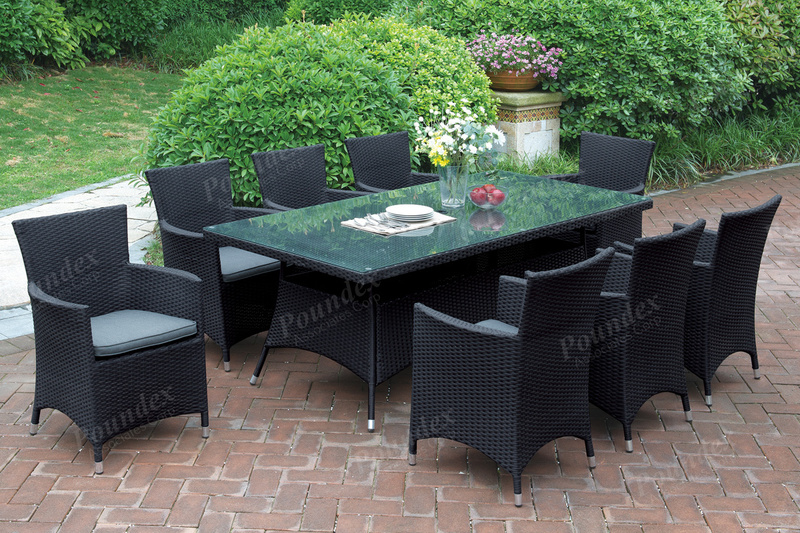 The rectangular table includes a glass countertop and each chair has a seat cushion in an earthly gray. 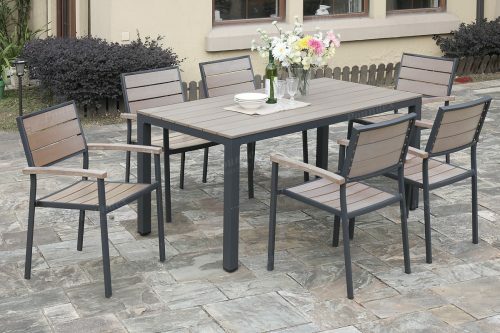 All furnishings come in a durable all-weather material.